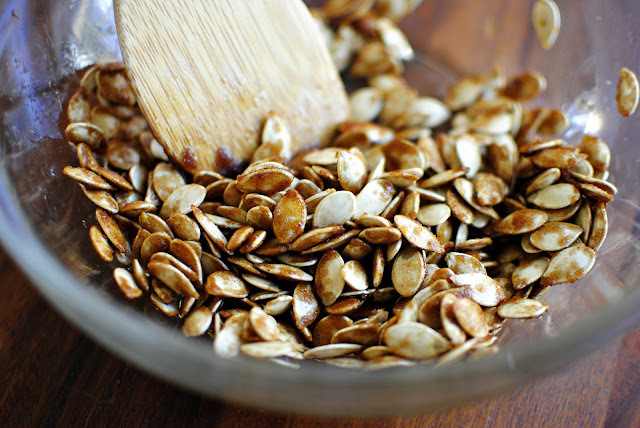 Save your pumpkin seeds and make these sticky sweet pumpkin seeds for a delicious crunchy snack! Today, I got ahead start on my pumpkin puree making. 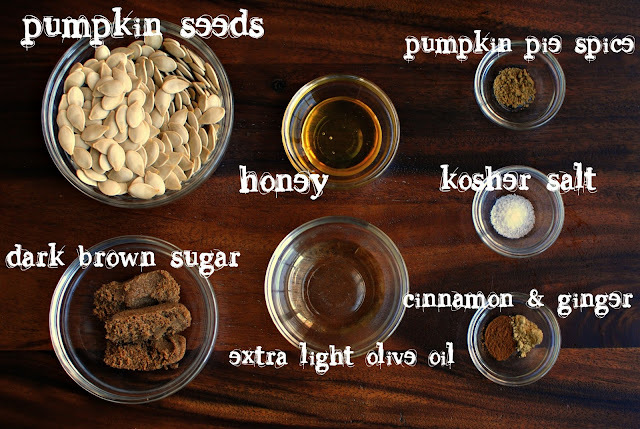 I’ve planned to make some Thanksgiving pies and other recipes soon, and I particularly like to use the seeds from “pie” pumpkins for roasting and such. 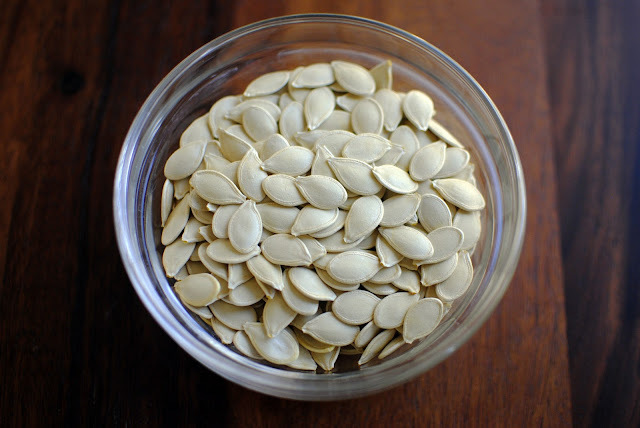 So, when we were purchasing our pumpkins for carving, the lady at the pumpkin stand waved her hands towards these pumpkins, saying they’re great for pumpkin pies and they have a ton of seeds inside them. So I bought two. Pat dropped one while juggling, literally juggling both of them, and busted it open so we left in our back woods for the nearby critters. Leaving me with one lonely pumpkin. Expecting to see a zillion seeds in the center of my pumpkin when I cut into it, I was sadly mistaken! Well, if a cup of seeds is a toooon then I guess my perception of a ton is way off. However this recipe is easily doubled or quadrupled to suit your needs… I just had to scale down my recipe and all was great in the world of pumpkin seed baking. As a kid I always looked forward to plain old salty pumpkin seeds. Now and again I like them a little spicy… or savory. But candied is where it’s at. My husband never even liked pumpkin seeds until I came up with this recipe. After they’re made them I just leave them on the sheet pan and as we passed by we’d snag a few and graze on these all day long. 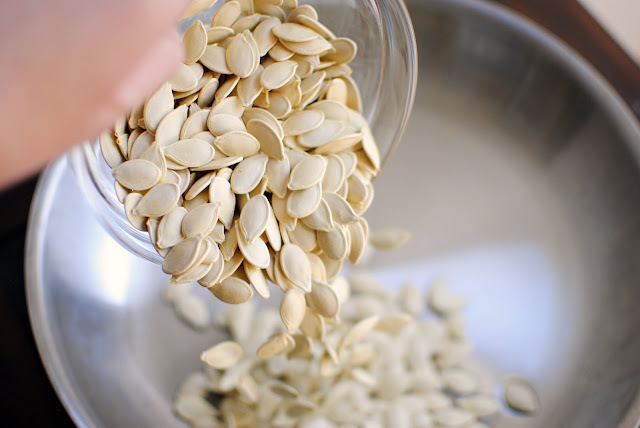 The easiest way I found to get those nasty orange fibers off of the pumpkin seeds, is to submerge them in a bowl of water. The seeds will float to the top and the pumpkin fibers will sink to the bottom. Place the washed raw pumpkin seeds onto a lined baking sheet. 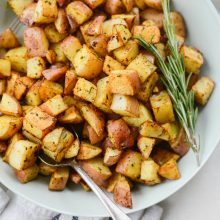 Having a silpat makes this recipe super easy. Spread them out and pop them into a preheated 300 degree oven for 20 minutes, stirring half way through. 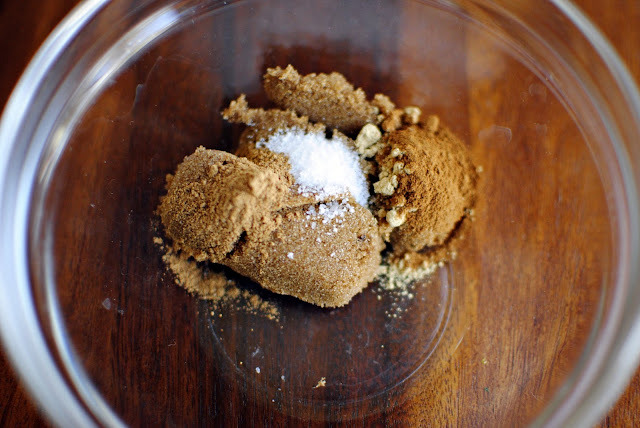 In a small bowl add two tablespoons of dark brown sugar, pumpkin pie spice, cinnamon, ginger and kosher salt. 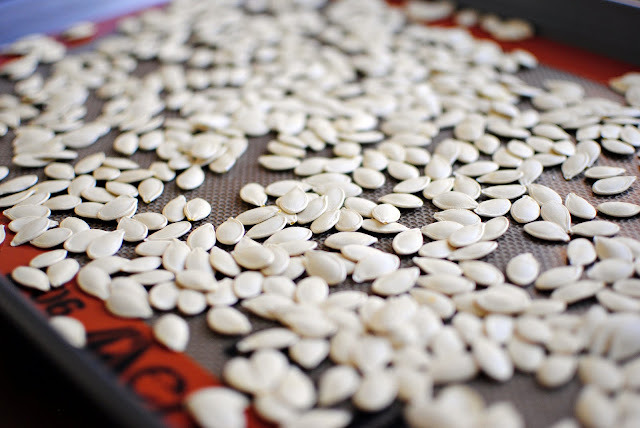 Once the seeds are out of the oven let them cool slightly. Once cool enough to handle, I scooted the seeds to the center of the silpat and poured them into a small bowl so it would be easy to add to the pan later. In a medium skillet over high, heat up the olive oil. Then drop in the pumpkin seeds. Next add the remaining tablespoon of brown sugar. 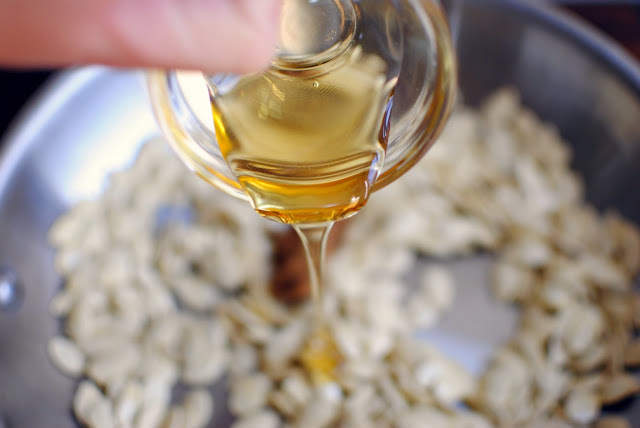 Next, stir constantly while the sugar and honey bubble and thicken about 45-60 seconds. 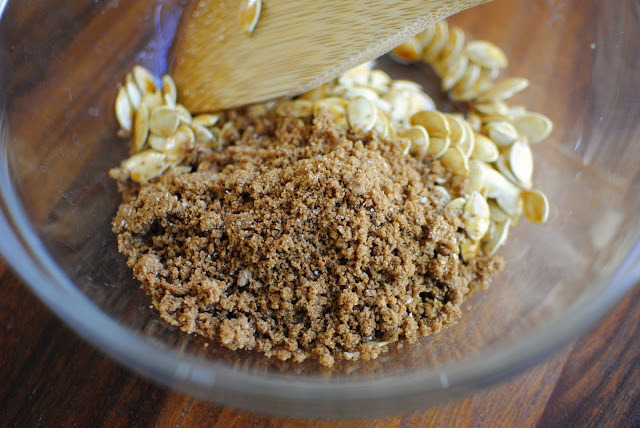 Then remove the seeds and place them in a large bowl and add the brown sugar/spice mixture. Next, toss around to coat. Then spread back out on the silpat to cool completely. 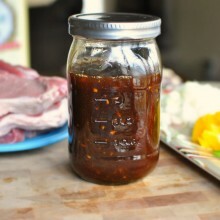 If not eaten immediately they can be stored in an airtight container for up to one week. 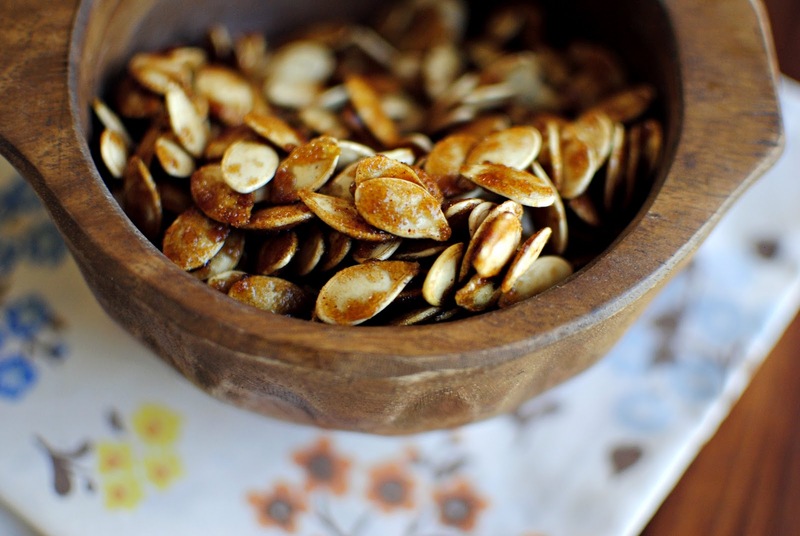 Sticky Sweet Pumpkin Seeds and only slightly addicting. Enjoy! And if you give these Sticky Sweet Pumpkin Seeds recipe a try, let me know by snapping a photo and tagging me on twitter or instagram! Spread out clean pumpkin seeds onto a lined, rimmed baking sheet I like to use a silpat. Place into preheated oven for twenty minutes stirring half way through. 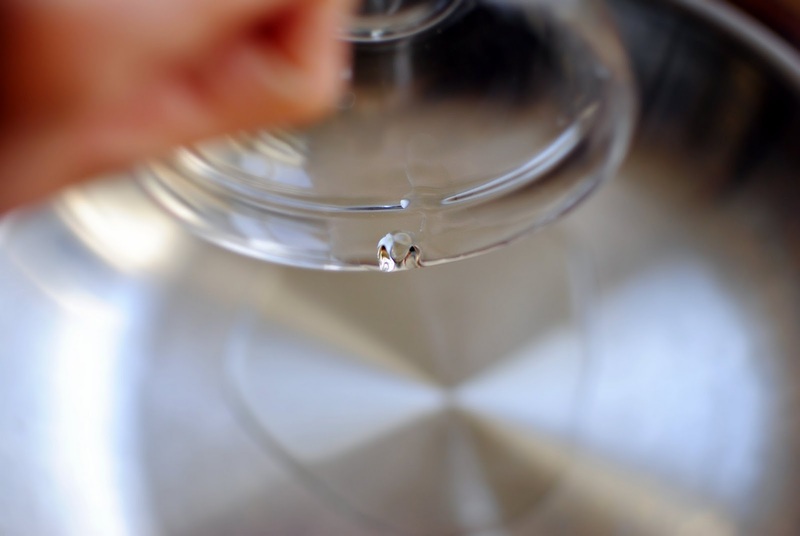 Remove and place into a small bowl or cup. 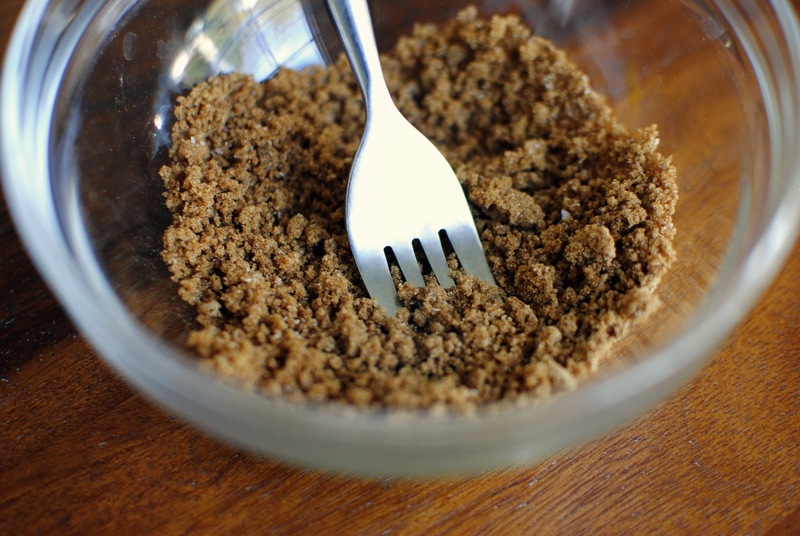 In a small bowl combine two tablespoon dark brown sugar, salt, pie spice, cinnamon and ginger. Stir to combine. 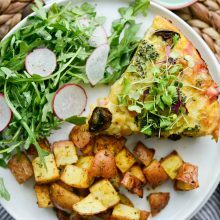 Once seeds are dried in the oven, heat the olive oil in a skillet over high heat. Add in the pumpkin seeds, remaining one tablespoon dark brown sugar and honey. Stir constantly until the sugar thickens about 45 seconds to a minute. Remove to a large bowl and top with the sugar/spice mixture. Toss to coat, and then spread back out onto the lined baking sheet to cool. Serve. 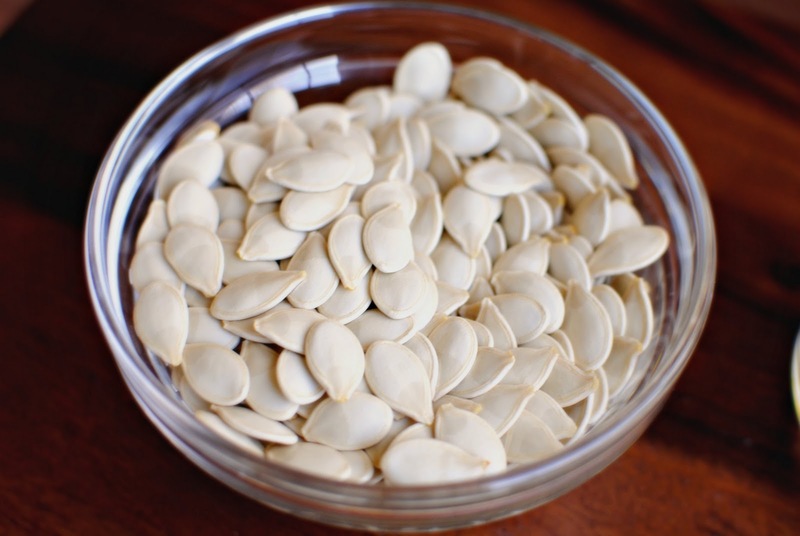 i mean really, you had me at sticky and sweet, but i was just thinking i need more pumpkin seeds in my life! 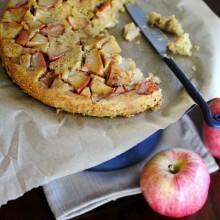 Well we all know I favor the sweet more than the savory so this sticky treat is something I really would enjoy. 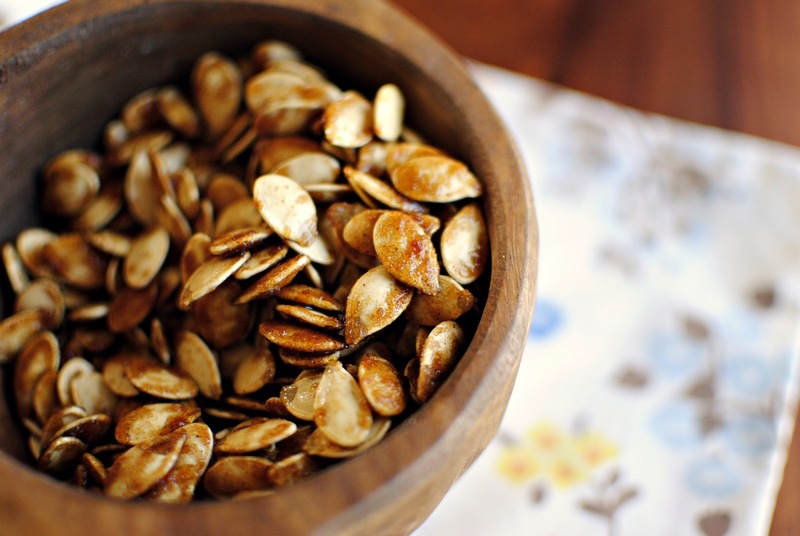 Most of the recipes for pumpkin seeds are savory and kudos to you for bringing the sweet. Thanks for sharing-yum! 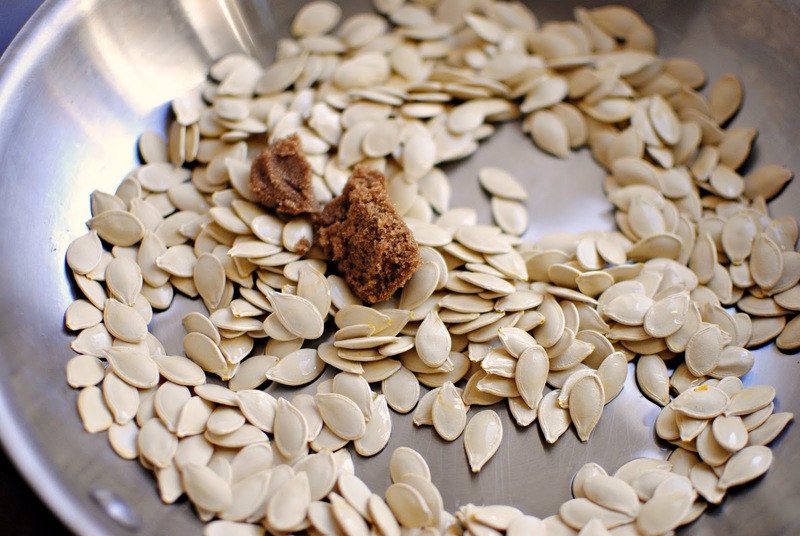 Tina… It's amazing how pumpkin seeds generally get the savory spices, but to tell you the truth, I like them better sweet! Thanks for stopping by! Thanks Chris! I have a feeling you're gonna love them! NEVER seen this before, but it's a great idea! Who woulda thunk it! yum these look amazing. I have a ton of pumpkin seeds i need to do something with. great idea. I normally buy these seeds off the shelf and it comes with quite a bit of other flavors as well. 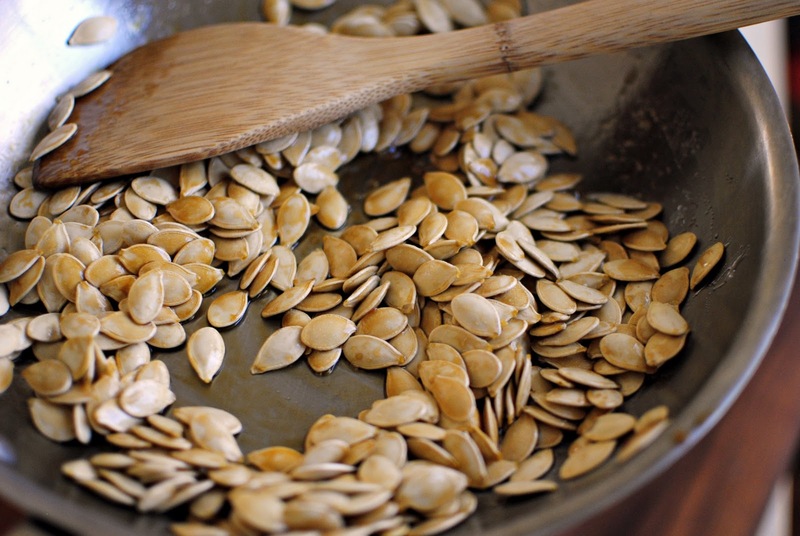 Great to that you have shared a recipe of pumpkin seeds, at least I know now how to make it at home. 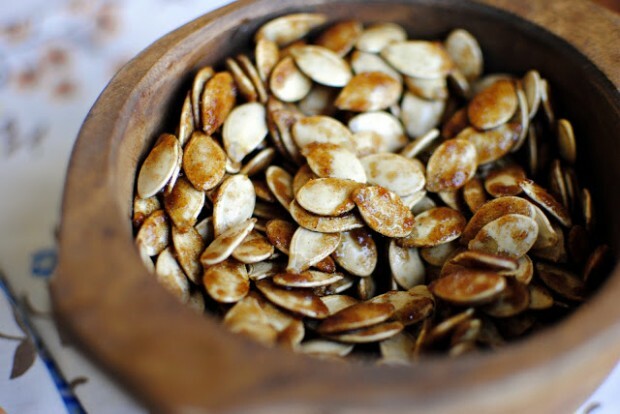 wow..what a great way to use halloween pumpkin seeds…This recipe is stunning as usual laurie…Great job.. 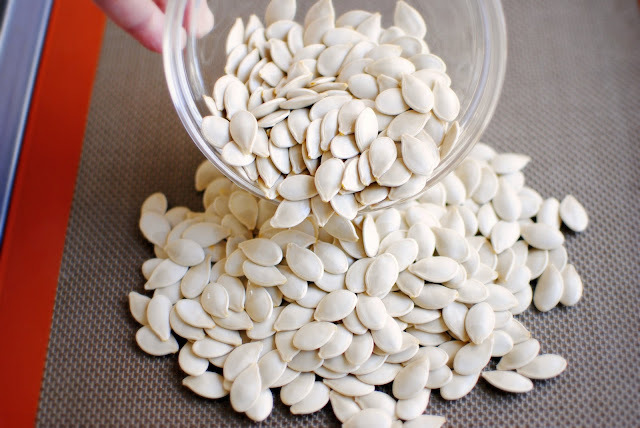 I love the idea of roasting the pumpkin seeds before adding the seasoning… I tried baking them with sugar and, let's just say they were pretty inedible. Ravie~ It totally is… I could seriously eat these all day long! 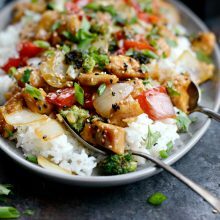 I LOVEEEE this recipe. I have some raw pumpkin seeds in my cupboard right now.. can't wait to make these. Yum! 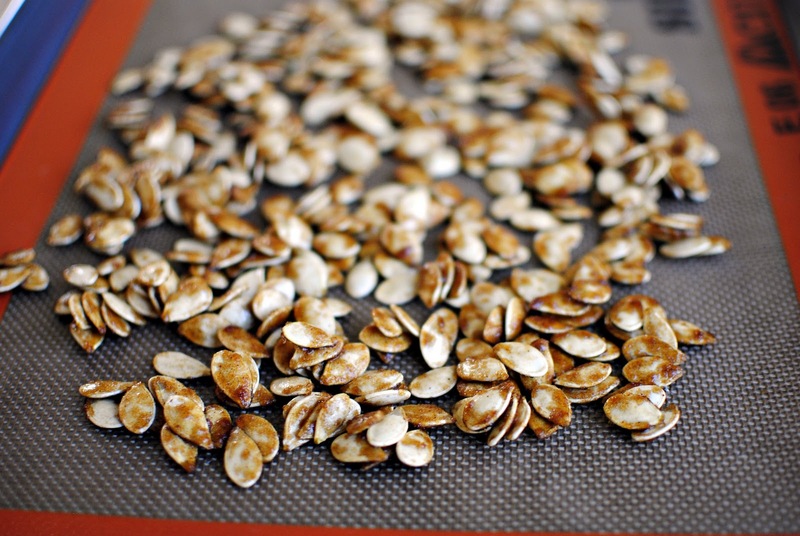 What a wonderful way to roast pumpkin seeds. They look delicious. I second O.M.G.! I make sweet pumpkin seeds every year…and try a new recipe every year. 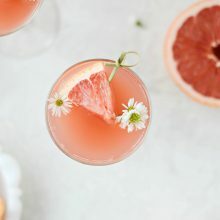 I will no longer search for new recipes because this is the best sweet seeds recipe I’ve ever tasted! 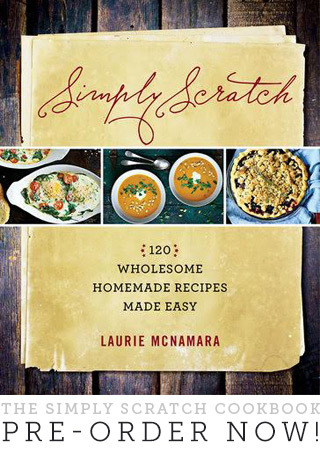 I look forward to trying out some of your other recipes. Thank you for sharing! I still cannot understand how did you remove the orange fiber. 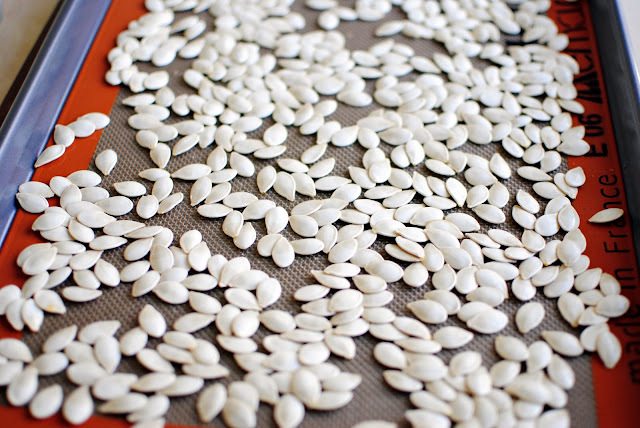 The seeds shown in your picture are amazingly clean. However, from my experience (I tried many different types of pumpkin), it’s impossible to remove them by just soaking or rinsing. You definitely need to tear the seeds off from the main fibers. Even so, there will be traces of fibers, and even worse, very sticky fluid on the seeds. Those sticky fluid will become a thin transparent layer of membrane after the seeds are completely dry. Then it can be removed them easily, but it’s still a pain since there are so many of them. I’m really wondering how could you get them so clean?